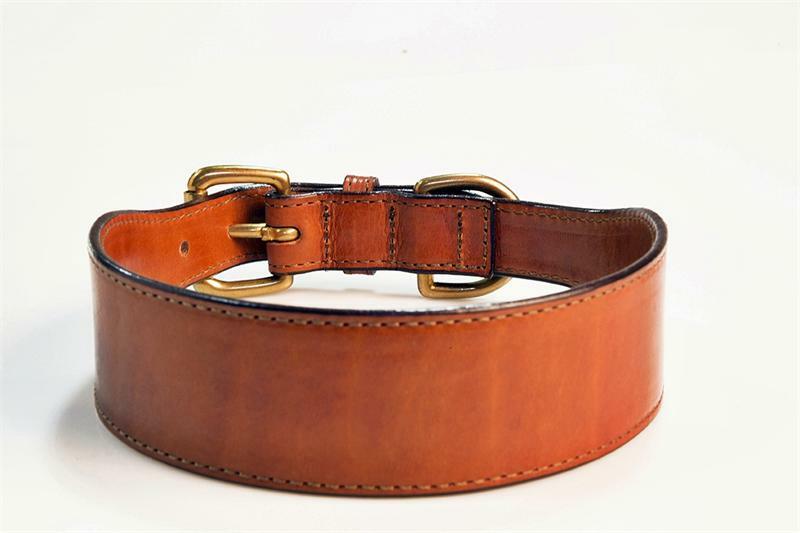 We took our Bridle Tanned Bison Leather and created a hand made, 2-ply tapered collar with hand rubbed, rounded edges. 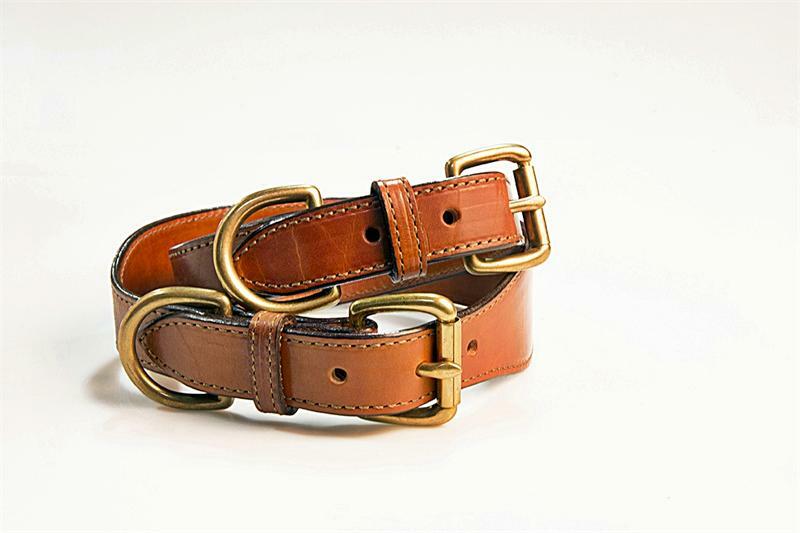 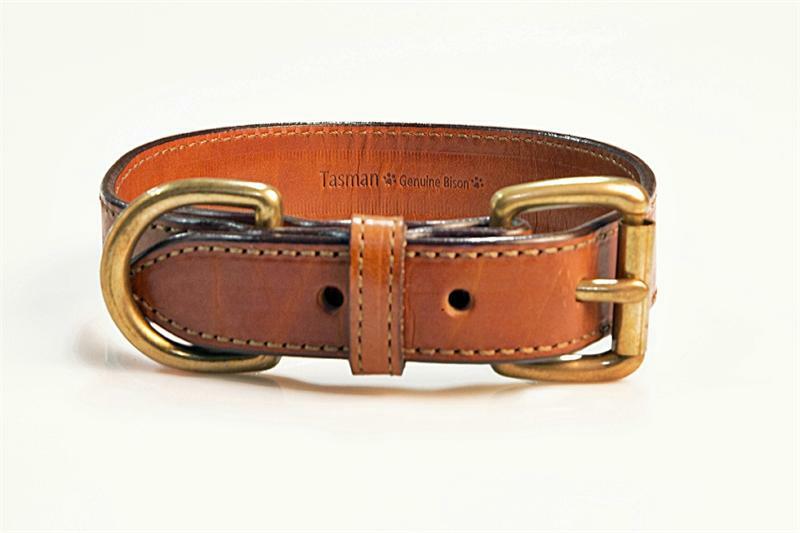 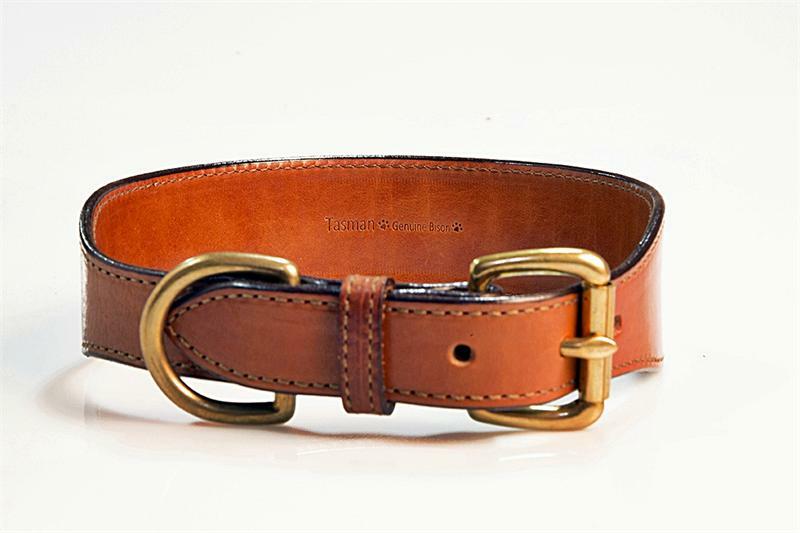 Solid Brass hardware and a Leather keeper create a unique collar that is not only beautiful, but extremely comfortable for your fur-kid. 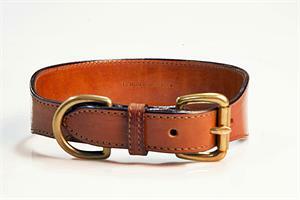 Both sizes taper down to 1" at the Buckle. 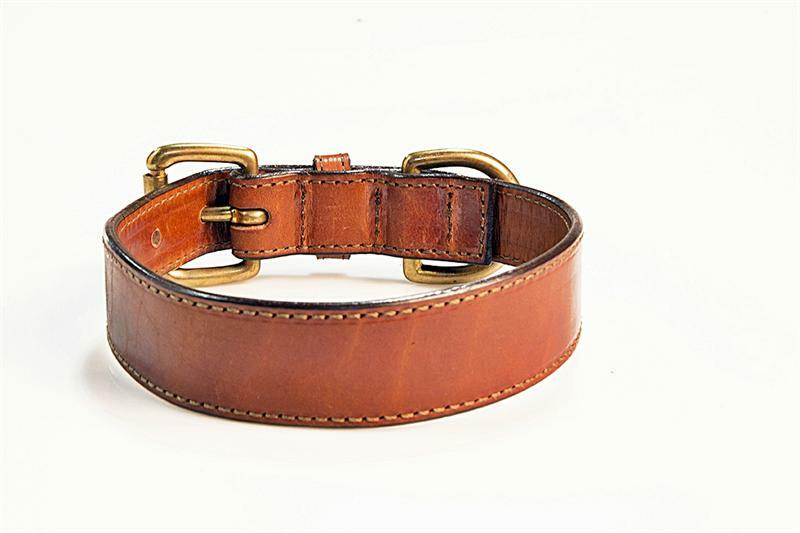 Select Size 1 1/4" x 14" 1 1/4" x 16" 1 1/4" x 18" 1 3/4" x 18" 1 3/4" x 20" 1 3/4" x 22" 1 3/4" x 24"